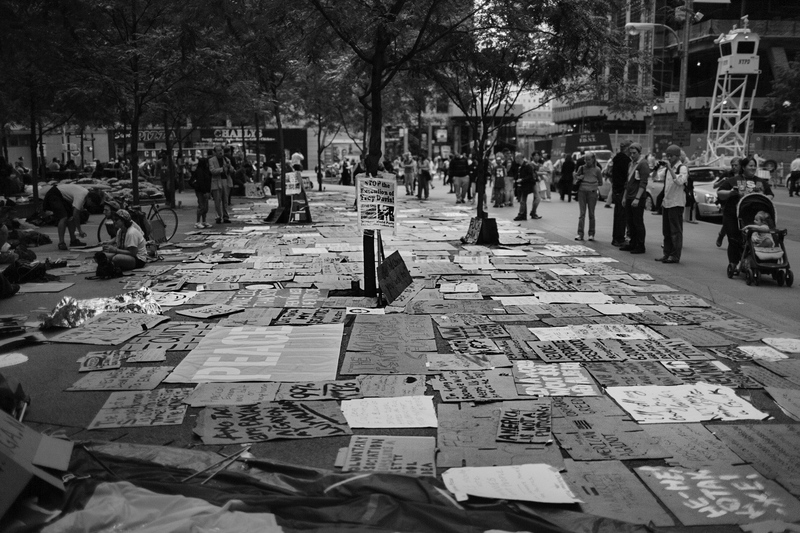 Protest signs lay on the ground at Zuccotti Park. 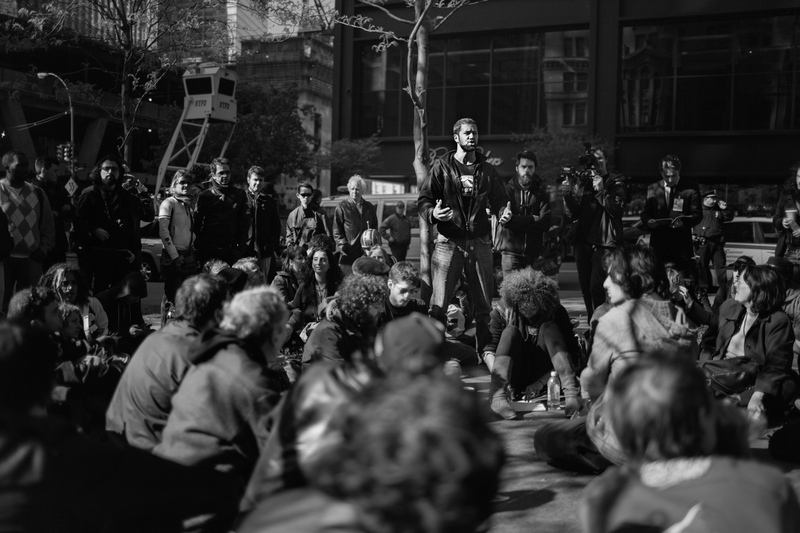 An OWS organizer gives instructions and guidelines to protestors at Zuccotti Park. OWS protestors link arms to avoid people being singled out and arrested during a demonstration. 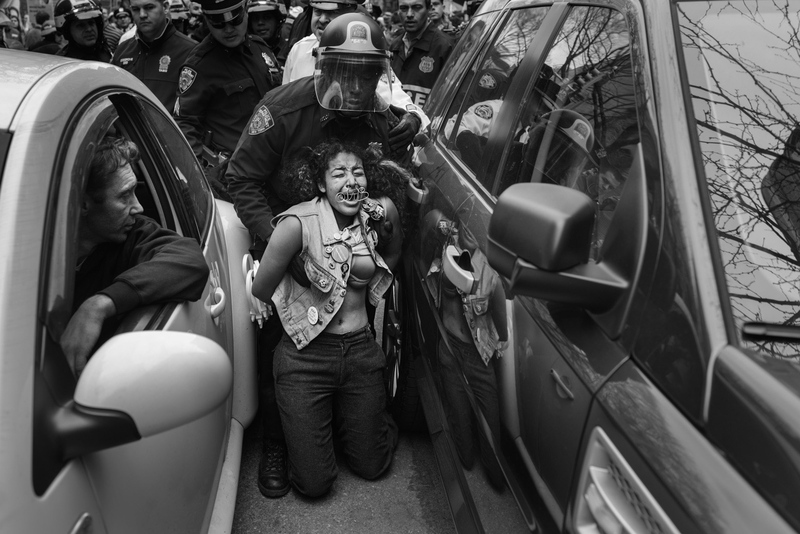 A young girl named Stevie is arrested on a march through the Lower East Side. An OWS protestor is arrested on the Brooklyn bridge. 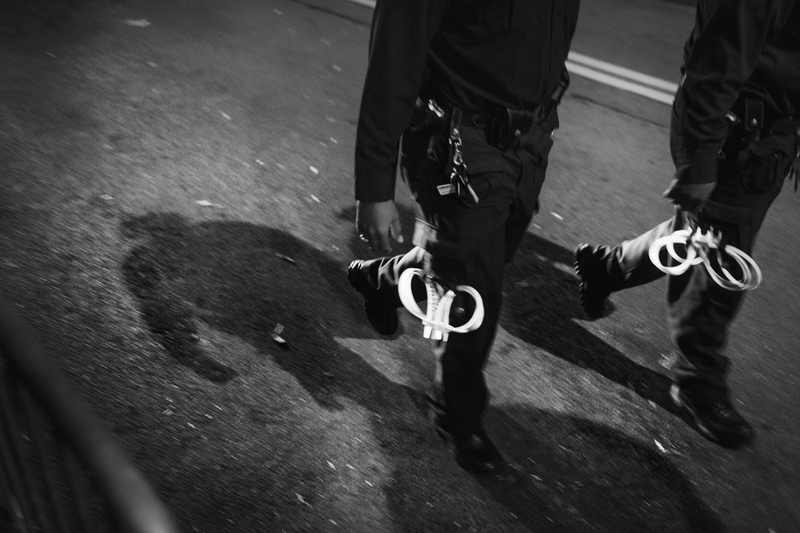 An OWS protestor sits handcuffed after a scuffle with police. 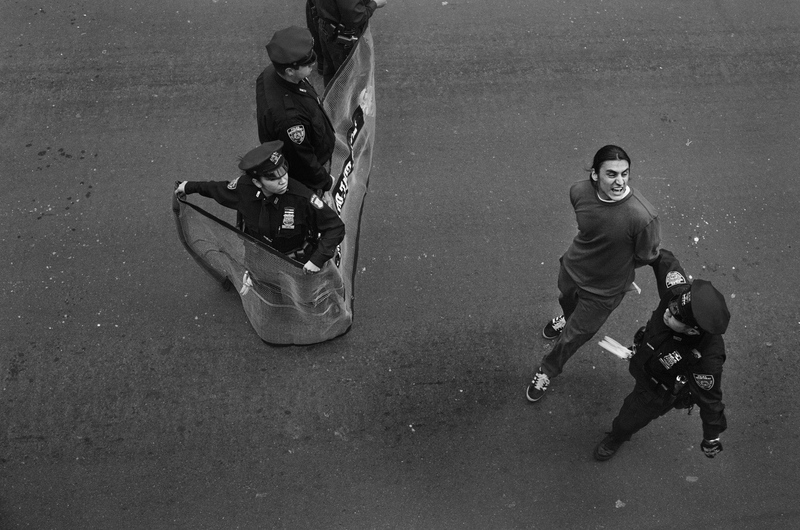 An OWS protestor is arrested and led away by police. 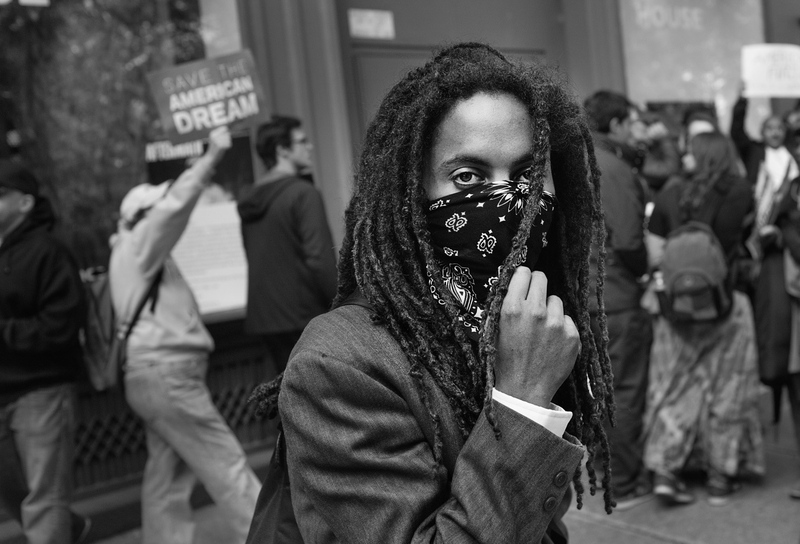 An OWS protestor stops to look into the camera during a march to Union Square. 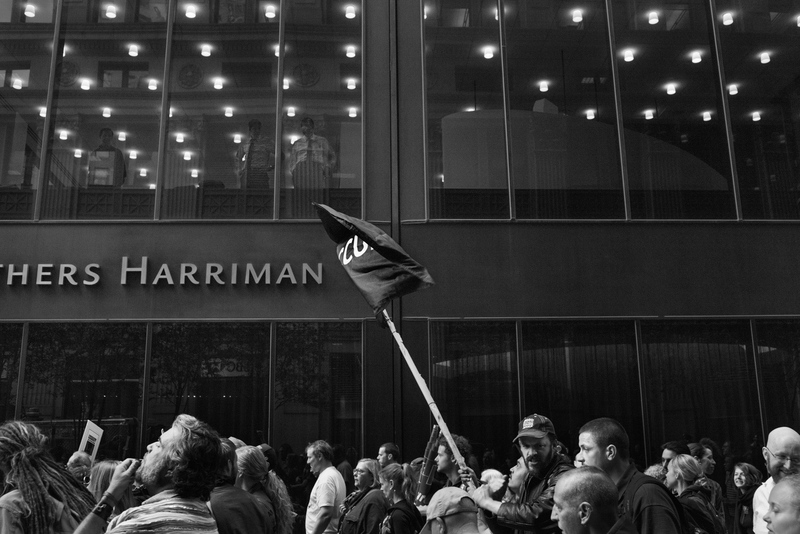 OWS protestors march past a Brown Brothers Harriman, an investment and banking firm. 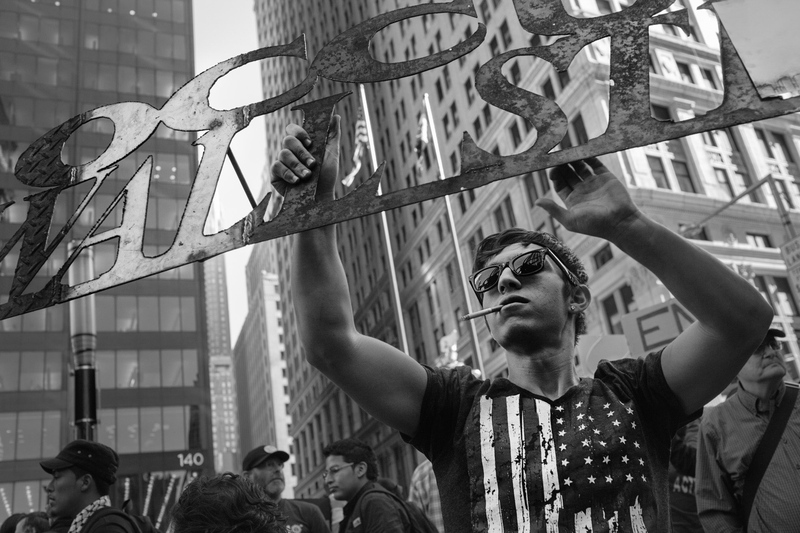 An OWS protestor holds an Occupy Wall Street sign cut from metal. 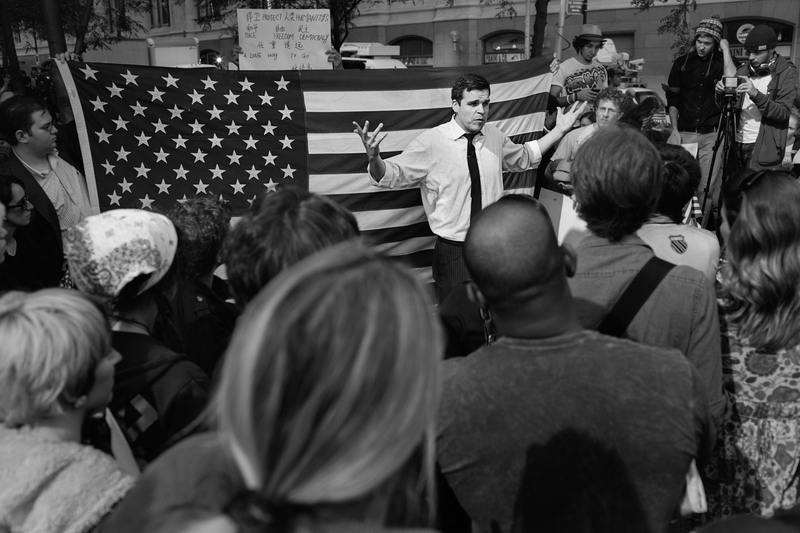 A man delivers a political speech to anyone who will listen at Zuccotti Park. 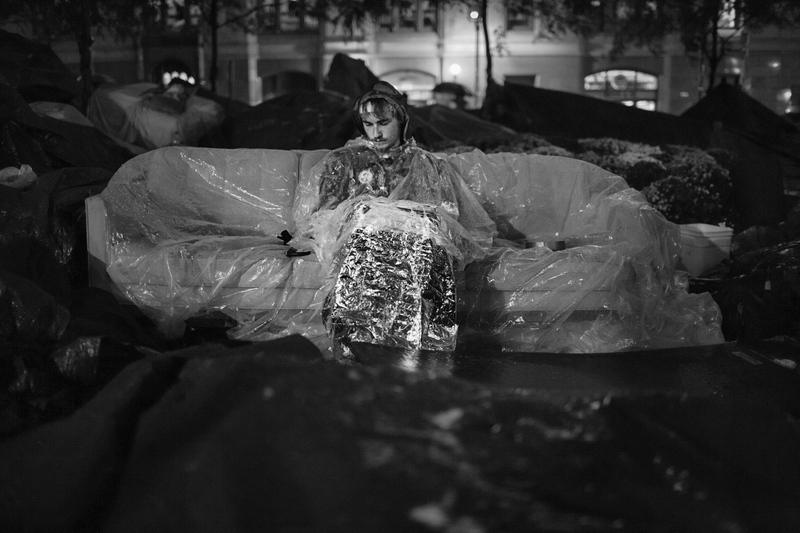 An OWS protestor sleeps sitting upright on a couch, in the rain, in Zuccotti Park. 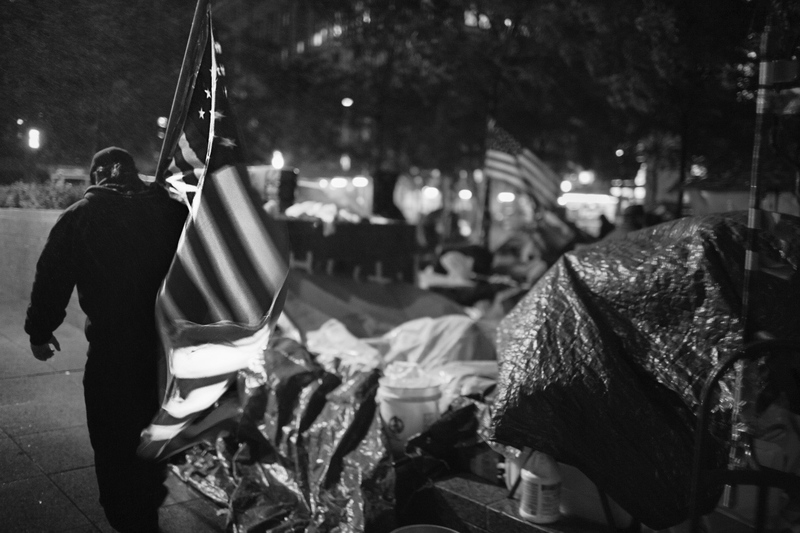 An OWS protestor carries an American flag through the rain at night, circling Zuccotti Park. Police patrol the streets around Zuccotti Park. 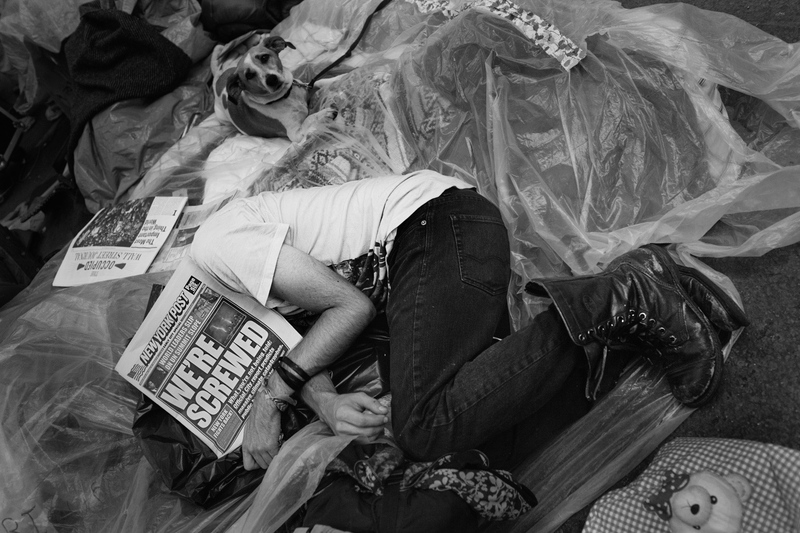 An OWS protestor sleeps with a newspaper over his face. 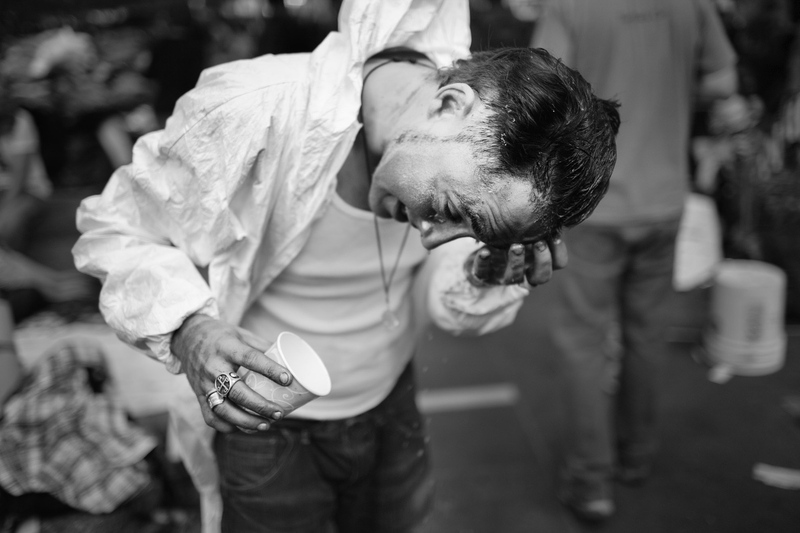 An OWS protestor washes paint off of his face after a demonstration. A OWS protestor poses for a portrait, metal wire, hanging from her piercings, reads, "OWS." The public movement known as Occupy Wall Street began on September 14, 2011. For almost one year, those who were involved struggled to become a legitimate, anti-establishment voice in the United States of America. 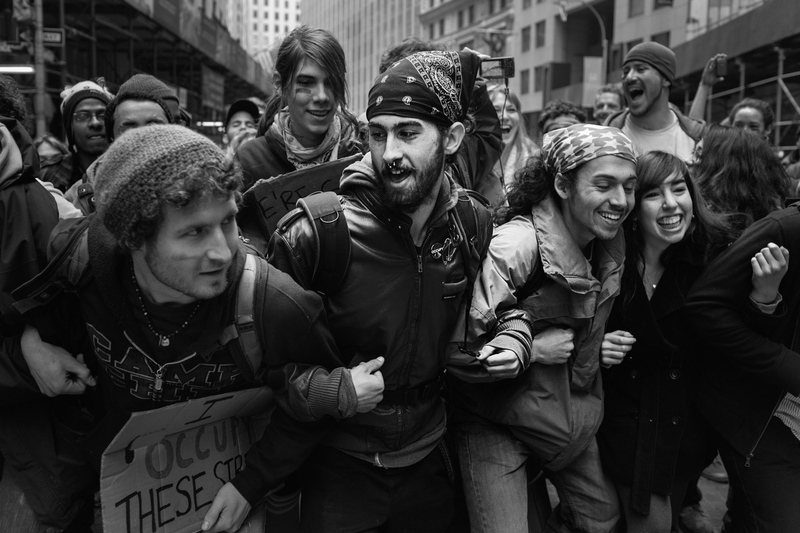 On May 1, 2012, after a winter fighting what seemed like a losing battle, the OWS movement experienced a rebirth. 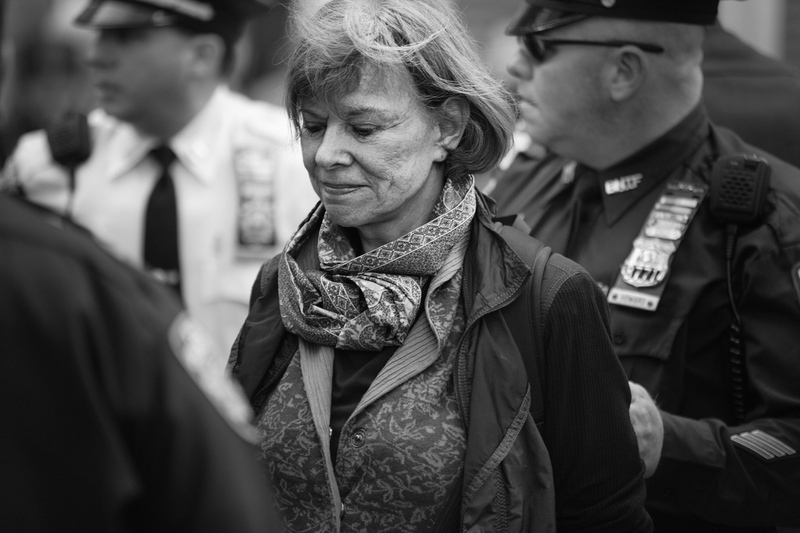 Though the movement is now mostly memory, the persistance and determination of OWS helped revive the spirit of protest.